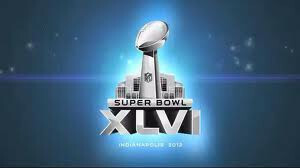 As we start 2012, it’s the Salisbury giveaway of the year for SUPER BOWL 46 with the New York Giants playing the New England Patriots on Sunday, February 5th at 6:30 PM! For all football fans, simply post a comment for the team who is going to win and your guess of the final score. The grand prize winner will enjoy a $100 gift certificate to The Keg Steakhouse! If more than 1 winner for the grand prize, a draw will take place. The winner will be announced after the SUPER BOWL. Super Bowl 46 Interesting Facts! The New York Giants will meet the New England Patriots in the 2012 Super Bowl and there are a number of key matchups in the game. How the Giants secondary lines up against the Patriots tight ends, how the New England secondary handles Eli Manning and his receivers, and how the Patriots defensive line matches up with the Giants offensive line, to name a few. 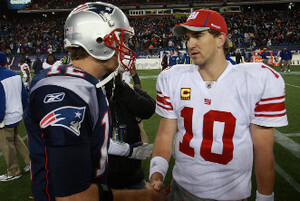 The experts at the roundtable are trying to answer the question: What’s the most important matchup in Super Bowl XLVI? Want to read more? The original winner of American Idol, Kelly Clarkson, will have the honors of singing “The Star-Spangled Banner” at Super Bowl XLVI. But how long will her rendition of the national anthem be? That’s where Vegas comes in. As Kegs N’ Eggs’ Adam Kramer notes, the over/under on Clarkson’s national anthem duration is 1:32. Last year, in Super Bowl XLV, Christina Aguilera took her time with the anthem, stretching it to 1:54 and making the over/under a push despite screwing up a line. Aguilera is a belter who relies on melisma, though, while Clarkson, whose voice is certainly on par with Aguilera’s in many respects, tends to sing things a little straighter. There’s also a possibility that Clarkson will see this as an opportunity to outdo fellow Idol alums who have hit the high note on “Freeeeee!” at the Super Bowl; she’s the fourth Idol contestant to get the chance to sing at America’s biggest sporting event. It should be a great rematch!! Being a Bills fan, I don’t know why I like the Pats so much. They have beaten us 16 out of 18 times over the last 9 year but that doesn’t seem to bother me. I have no idea really on the final score. I can see it being 34-27 Pats or 17-14 like the last SuperBowl. OK – I guess since I think the Pats defense will give up points. I’m going with 34-27. Patriots 24 – Giants – 17 Woot woot! New England wins this time around. Patriots are going to win 27-24. Either way I win it is my birthday on Superbowl Sunday and on Tuesday I leave for Barbados for 2 weeks. So its a win win situation. No way Brady will lose to these chumps again!! Pats will win 31-28. I’m going with New England to win 31 – 24. Go Patriots!! Giants will win 37-27 over the Gronkowski-less Pats. The only thing New England does well is Chowder! I’m taking the Patriots over the Giants. My guess is 31-28 for the Patriots. Great job with your last trip! Patriots will win! 28 – 17. New England 24-10! Giants shouldn’t even be there. Being a huge Patriots fan I have pats winning 37 to 24. Go Brady..
Giants will win: 30-27 I hope!!! Patriots win 36 – 21 Go Patriots !!!! Patriots 27 – Giants 24!! Great comments so far!!! Seems like The Salisbury Team football fans think that the Pats will win the Big game!! Keep the Comments coming!!! Patriots win 23 – 20 in OT. Patriots 27-13 over Giants. Madonna will be horrible. 5 REALLY good commercials. Patriots to win 31 – 20. The Giants will beat the Pats 23-14, Giants have a much better defense and running game. They are a better fundamental team. And sometimes, evil simply triumphs over good. Post game prediction — Tom Coughlin will retire. The Patriots will not let us down, just like the Bruins winning the Stanley Cup, the Patriots will continue the winning way in Boston. PATS: 34 – Giants: 17. BRADY will be the MVP as well. Revenge is a dish best served on the field!!! There will be no miracle catch this year! New England will win 34-21. Have to change my score I see someone else before me said the same score as me, sorry! PATRIOTS 28 – Giants 22 whoot whoot !!! Giants were a lot better than their 9 – 7 record. The healthy front 4 will be trouble today! Giants 34 – 27. Well looking over all the picks for the big game tonight. It’s seems that the majority of you are going for the Pats! We’ll know the answer in less than 6 hours! Good luck to everyone who participated. So the NY Giants win again!! Wow! 12 people in our Super Bowl contest picked the Giants and 2 had it very close. All 12 people who picked the Giants were thrown into a hat and the winner for 2012 is Craig Labaune!! Congrats Craig and the $100 Keg gift certificate will be sent to you shortly. thanks again for all entries.